During an appearance on the openly anti-Trump MSNBC Show “Morning Joe”, leftist host Chris Matthews tore into American Christians for their support of moving the Israeli capital to Jerusalem, making it transparently clear what he and many other liberals actually think about Christianity as a whole. Matthews not only claimed that evangelical Christians have “crazy ideas” he also essentially called the religion fake by labeling its beliefs as “mythical.” But hey, there is no war on Christianity because the mainstream media said so! “Deaths are coming now because of this. You can just bet the next few weeks we’ll have hell to pay for this totally erratic decision by this president. 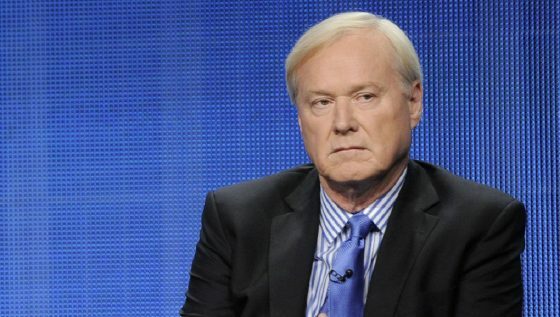 Every party who has had the White House since 48 has recognized you have to be careful over there,” Matthews claimed. “Because if you don’t give the Palestinians hope that they can have national integrity and have a capital where they believe it should be, you’re going to have an unending problem,” Matthews declared as if his political opinion is somehow automatic fact. While one can argue the merits of moving the capital all day, the fact remains that President Trump ran on a platform to move it and is now completing his campaign promise. The only reason this is such a surprise to the liberal media is because they are used to presidents lying about this issue on the campaign trail while not actually following through once they reach the White House. Its safe to say, times have changed and the global power structure is clearly not happy with said change.